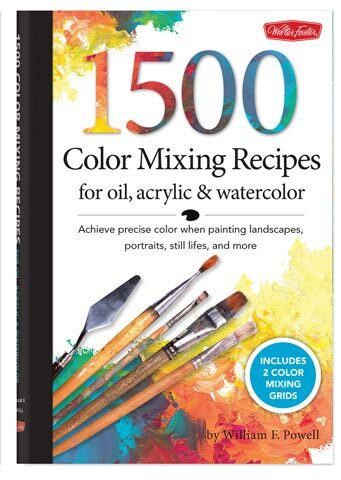 This comprehensive color-mixing resource for oil, acrylic, and watercolor artists is a collection of Walter Foster's best-selling Color Mixing Recipes books, including Color Mixing Recipes for Oil and Acrylic, Color Mixing Recipes for Portraits, Color Mixing Recipes for Watercolor and Color Mixing Recipes for Landscapes. This collection comes in a user-friendly, concealed, spiral-bound format that is tabbed for quick and easy reference. It includes two removable color mixing grids, one for oil or acrylic, and one for watercolor. 176 pages.